The Bhut Jolokia has been rated over 1,000,000 Scoville Units of heat. 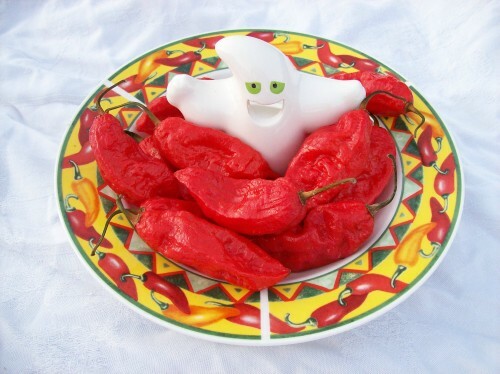 Also known as the Ghost Chile it has a smoky flavor and slightly fruity. You are purchasing 10 dried peppers for $5.99 Keep away from children and handle with care!